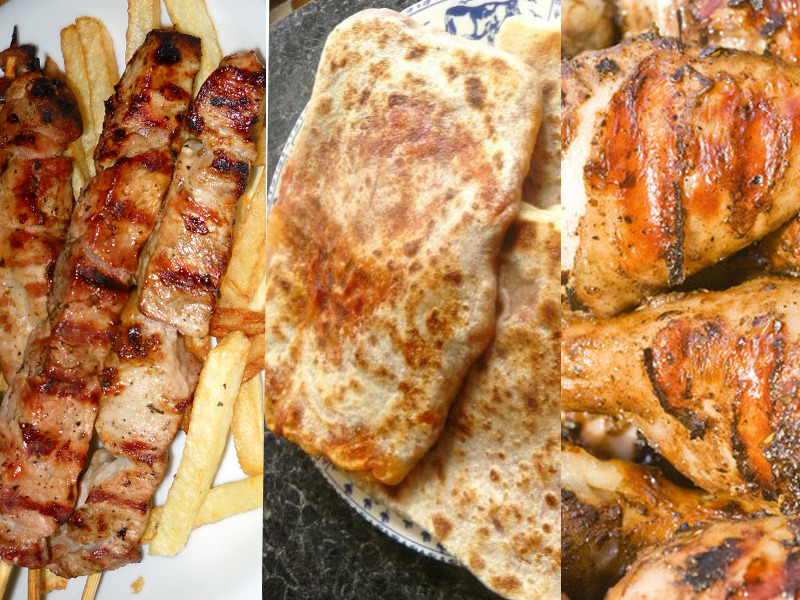 From shish kebabs to satay, here are 11 grilled foods from around the world that you’ll want to try. Turkish shish kebabs started the grilled meat-on-a-stick trend. Shish kebab is an Anglicization of the Turkish words for „skewer“ and „roast meat“ („sis“ plus „kebap“). Predating the Ottoman Empire, this dish might even have origins in Persia, where small skewers of meat were served with glasses of wine. Shashlik is the Russian and Georgian take on the skewered meat trend. According to Russia Beyond, shashlik (also spelled shashlyk) is a Crimean Tatar word that means „something on a skewer.“ This grilled dish can be made with pork, chicken, beef, or fish. A souvlaki is a skewer of grilled meat from Greece. Originating from the Greek word „souvla“ (spit or skewer), a souvlaki features pieces of grilled meat served on a stick. Typical accompaniments include pita bread or fried potatoes.